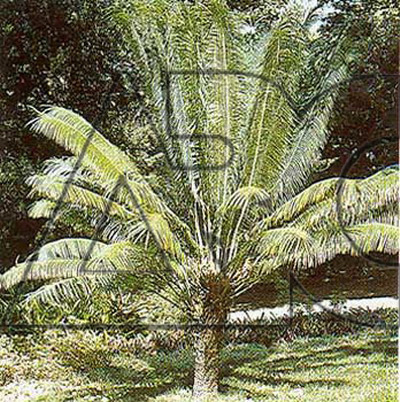 Erect cycad with a robust stem, thickened towards the base and bearing pale bands of old leaf scars. Leaves are pinnate, 1.5-3m long, with up to 100 narrowly lance shaped, glossy, rich green leaflets. Cone like inflorescence are brown; the males trow to 45cm long while females to 30cm long. Female inflorescence produce ovoid red fruit, up to 6cm long.